Sometimes it’s just fun to (virtually) smash something up! This month’s simulation challenge is all about destruction – we want you to use your favourite destruction or physics plugin to create something that captures the joy of breaking, smashing, shattering and ‘sploding! Animated or freeze-frame – it’s up to you! TL;DR: Create a scene of something smashing to bits using whatever workflow you’re comfortable with and upload it to Sketchfab and tag it #DestructionChallenge. Create a chaotic, destructive scene using your favourite software. Static or animated scenes welcome – maybe think about adding sound and setting up for VR too! 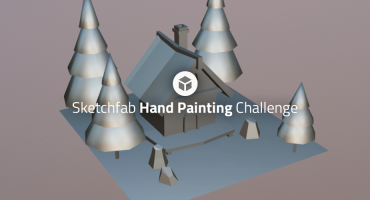 Once you’ve created your scene, upload it to Sketchfab, tag it #DestructionChallenge. No alternative prizes available. The prize draw is not open to Sketchfab employees, their families or their pets. Contestant’s models must be uploaded to Sketchfab and tagged #DestructionChallenge to be considered. The winners will be contacted by Friday, September 22. It’s all over my head, but here you go. 1. Mesh preparation, pre-shattering or fracturing and rigid body creation – this is preparing the geometry to break and shatter. 2. Constraints and choreography – this stage allows for various ‘glues’ and constraints that will influence the simulation. For example, painting a map that will make one wall stronger than another. 3. Simulation ending in baking in the geo and integrating this into a render pipeline – running of a simulation and then baking that into something with real geometry that can be handled by a renderer. As part of the simulation the system needs to solve intersection of various bits of ‘crap’ – this is called collision detection.